Pictured above is an image from Saturday night’s fireworks display which marked the end of Living Lerwick‘s extremely successful winter festival. 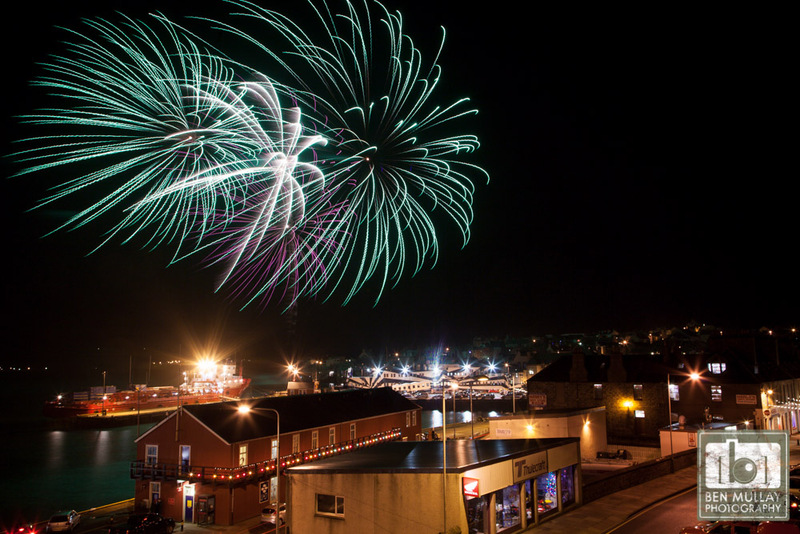 Over the last few weeks there has been a number of events in Lerwick Town Centre including the family parade, Santa’s grotto, christmas lights, live music and fireworks. It has been great seeing Lerwick town centre so busy with people supporting the Shetland economy by choosing to shop local this Christmas.